Mike Babcock on Auston Matthews' defensive display vs. Gardiner/Zaitsev in practice: "I was impressed that theyâ€™re making a nice donation to the Childrenâ€™s Hospital, thatâ€™s what I like about it." So the money Matthews was referring to being on the line is for a good cause. I want to see that heli-celly in game. Apparently, this celebration was Matthews mocking Gardiner for the thing that he does with his stick to celebrate stopping an attack. This is so cute. Also a really attractive quality in Babcock's eyes is when players treat making defensive stops as goals. Gardiner should have picked Dermott or Rielly to partner with instead. If they would of scored I would of went upstairs for a review. Zaitsev was 2 feet offside. Here's the whole video of the above..Pretty impressive lol.. The entire Arizona Coyotes roster has 19 points so far this season. But, before last night, the entire Coyotes roster had a total of 9 points. 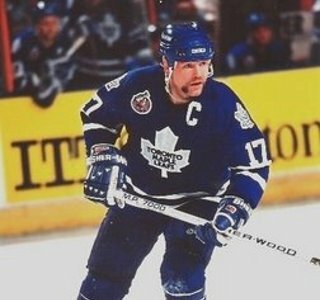 The Leafs have 4 players with 10 or more. And going into last night they had had not scored at even strength. Me: Last season, Babcock made smart decisions regarding his lineup & player deployment from January-April. In the playoffs, he basically iced an optimal lineup. Any lineup changes from before January mean nothing. Practice pairings 3 days before a game are pretty much useless. But Dermott wasn't great last night, neither was Oz. Like I said in the GDT, I wouldn't be surprised if both sat a game for Marincin and Holl. So trade Nylander to Arizona? Dermott fans can calm down. Page created in 1.239 seconds with 26 queries.